I've been going through some old photos the last little while, and I came across some cute ones of my grandmother. Looking at the wide range of pictures scattered across my bed that I need to put in albums, it brings back so many fun, yet crazy memories. Memories of all the places that we have been, memories of places that we talked about going to, and quite a few pictures seem to have me laughing. 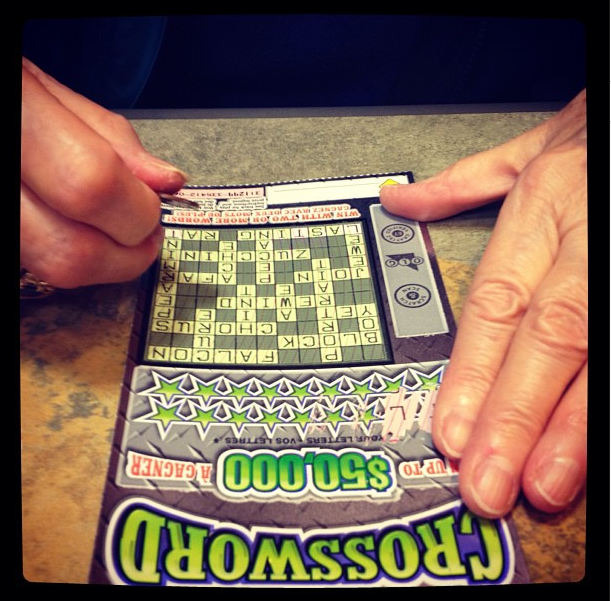 One picture in particular that I came across on my Instragram account reminds me of one of her obsessions... anything lottery related. I'm sure she would love a casino bonus to visit a local casino for some exciting entertainment, and an all around good time. It's been years since we've gone together... she's now mostly into scratch cards, due to the fact that she doesn't drive. I recently came across an online site that offers some fun casino gaming. I'm not much of a game person, but for those of you who enjoy it, the site offers no deposit bonus codes. These are special bonus codes for new and existing members. What are some of your favorite memories with family and friends? What are some of your favorite things to do to kill time? Most of mine would involve my grandmother and mother, and there's never a shortage of new memories.